Following three blog entries featuring urban magic, this seems like a good time to move away the city and feature somewhere decidedly more bucolic. 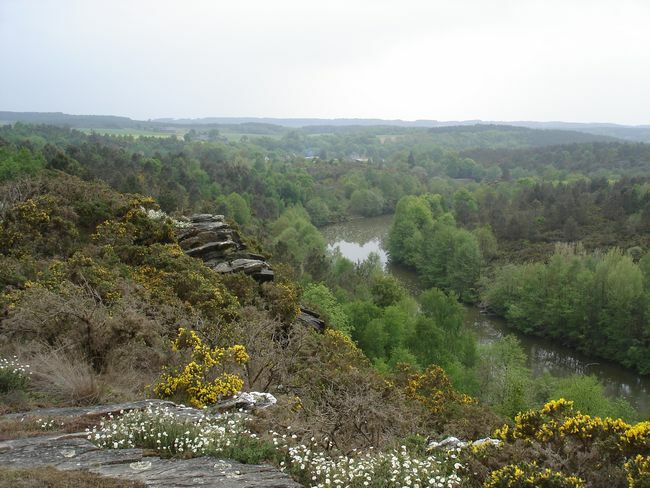 Brittany in North West France is an area I am lucky enough to know well. It is also a region that is soaked in magic, with a long history of myth and mystery, and many strange, fascinating reminders of this history in the form of standing stones, ancient dolmens and medieval ruins. What makes Brittany even more special is the fact that it still retains its atmosphere of calm and quiet. It’s a place stuck in time, somewhere around fifty years ago, where many people still live simple, rural lives, where the winding country roads are empty of traffic and the long white beaches free of crowds. If you avoid the main attractions such as Pont-Aven or Mont St. Michel, you can often find yourself wandering alone around some truly magical places. One such place can be found not far from the village of Saint-Just. In typical French style the Landes de Cojoux aren’t particularly well signposted. The happy result of this is that hardly anyone ever visits these windswept, gorse-covered moors, and it is not unusual to find the tiny gravel car park almost empty. 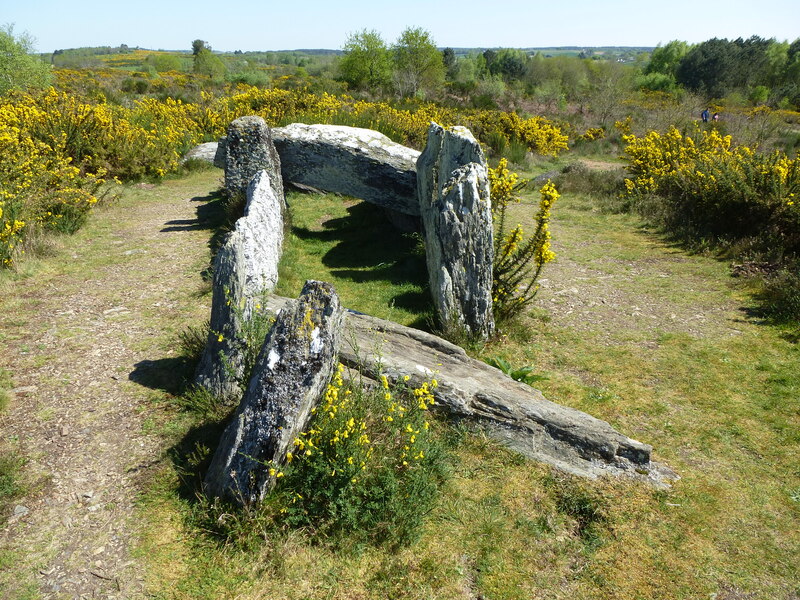 It’s only a short walk up to the beginning of the trail which takes you across the Landes, and not long down this trail before you reach the first of the groups of standing stones for which the area is renowned. The Alignements du Moulin are pretty impressive, standing tall and sharp against the wide open sky, but as you walk on you quickly realise that this is just the beginning. The moors of Saint Just are dotted with many ancient monuments, from the low, messy remains of burial cairns which emerge here and there from the scrubby heather, to the huge blocks of the Demoiselles de Cojoux, two granite menhirs with another two fallen stones nearby, which may be just part of a once much larger monument. Local legend tells that they are in fact wayward girls, turned to stone as punishment for dancing on the Sabbath. As you wander deeper into the Landes, any memories of modern life quickly slip away. The only sounds up here are the wind in your ears and the persistent chatter of birds. At the end of the moor, where the ground slips down towards a distant river, the views are broad and breathtaking, a perfect end to a magical stroll. 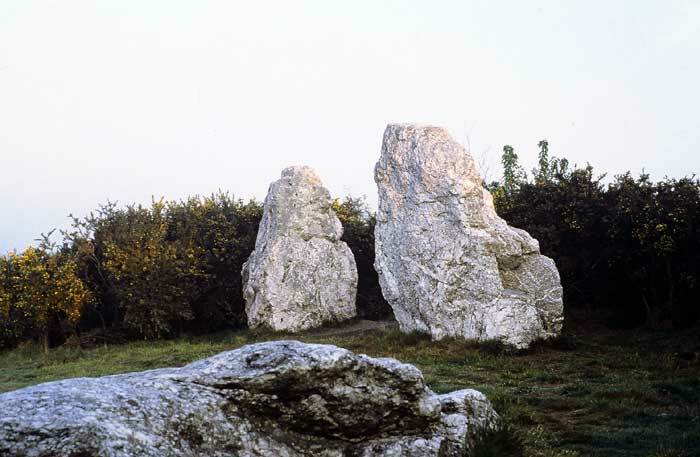 The remote location of the Megaliths of Saint-Just means that they have escaped the scourge of mass tourism, which has all but eradicated the magic of better-known site such as nearby Carnac. There is evidence of human interaction with the landscape stretching back over seven thousand years here. 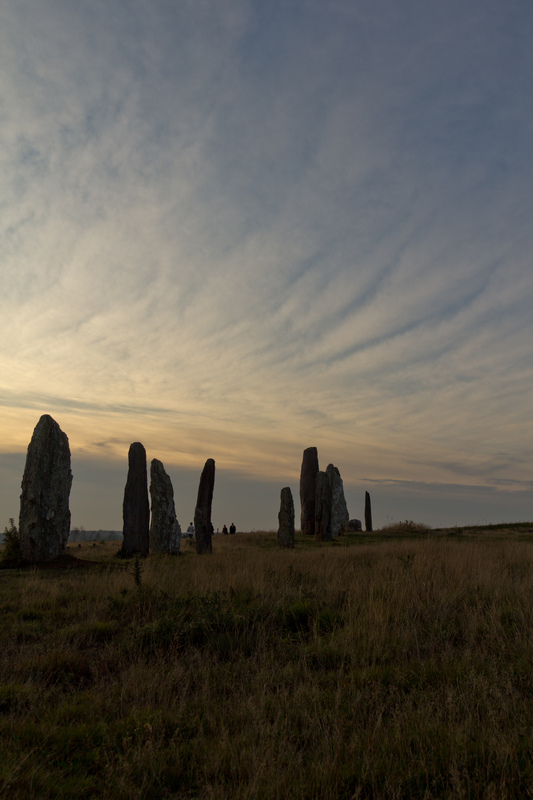 We don’t know what the true purpose of these incredible feats of prehistoric engineering were, but the amount of work involved in setting up these stones reveals how important they were to the communities who created them. With no written records from the period, their origins and meaning will probably always remain a mystery. Now they have become part of the landscape which they inhabit, a wild, windy terrain which, apart from the odd earth track, shows little sign of the intervention of modern man. The Landes of Cojoux are vastly underrated, but I hope they stay that way; this is a place where it is still possible to feel a connection with an ancient landscape, and somewhere that still undoubtedly possesses a rare, unique potential for magic. This entry was posted on August 4, 2012 at 9:58 am and is filed under Brittany, History with tags Brittany, Landes de Cojoux, neolithic, Saint-Just, standing stones. You can follow any responses to this entry through the RSS 2.0 feed. You can leave a response, or trackback from your own site. Les Alignements look as if the hands beneath the earth’s crust had finally decided to break through, and the crooked fingers were reaching for the unfamiliar sky. Yes, it really is an incredibly atmospheric place – once visited, never forgotten! Striking photo of Les Alignesments. It was, and I was blessed with perfect weather – blue skies with a hint of mist in the air, which definitely added to the magical atmosphere. It is an amazing place – I have been back a couple of times since I wrote this, and I discover something new on every visit. Sounds fascinating, thanks for the tip – another place to add to my (every growing!) list.